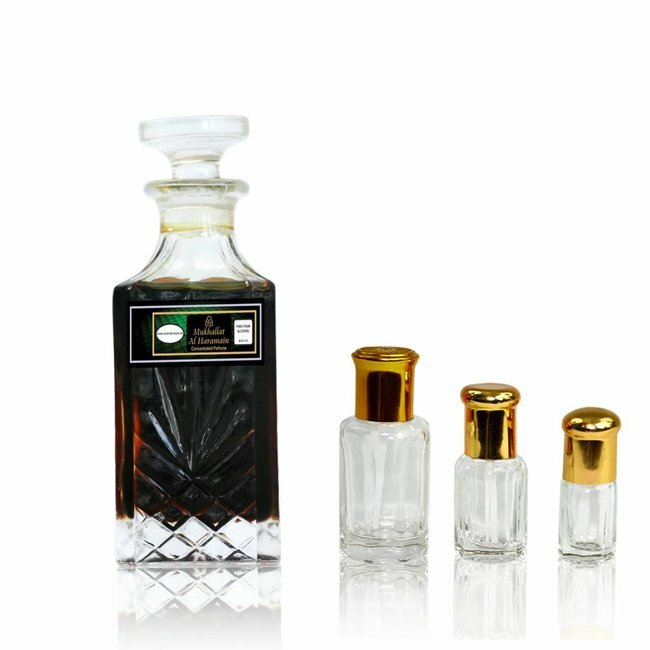 Perfume oil Mukhallat Al Badr by Anfar - Masculine, fresh-spicy, warm-spicy, balsamic, woody; perfume free from alcohol Read more..
Perfume Mukhallat Al Badr perfume oil by Anfar is a true oriental with a masculine radiance. 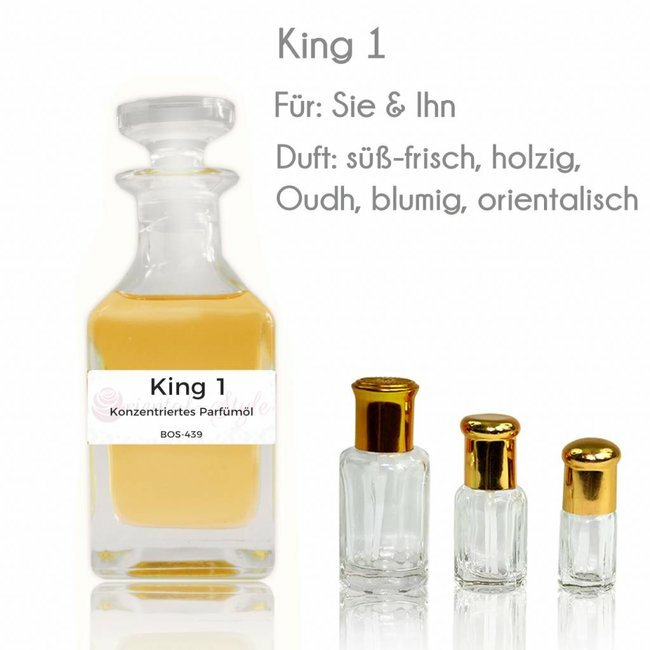 The top note is determined by frankincense and, after a short time, quickly turns into a duet of roses and Oud. 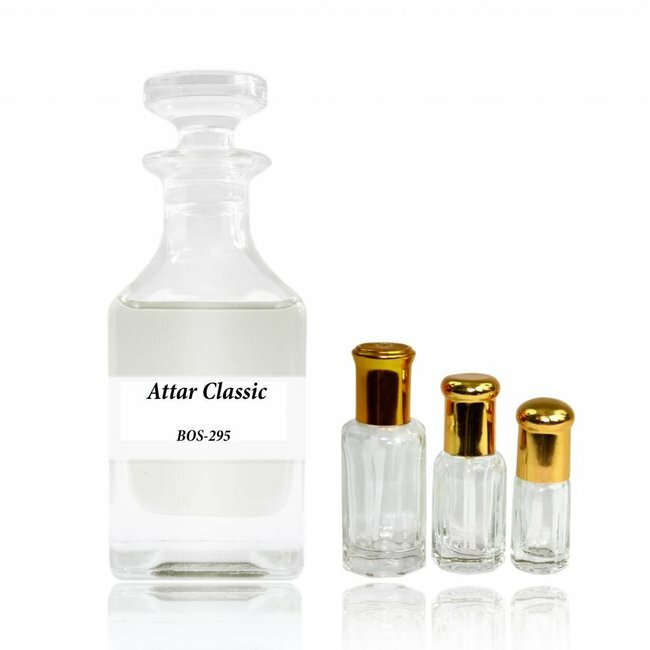 The roses don't play the main act and round off the Oudh notes beautifully. 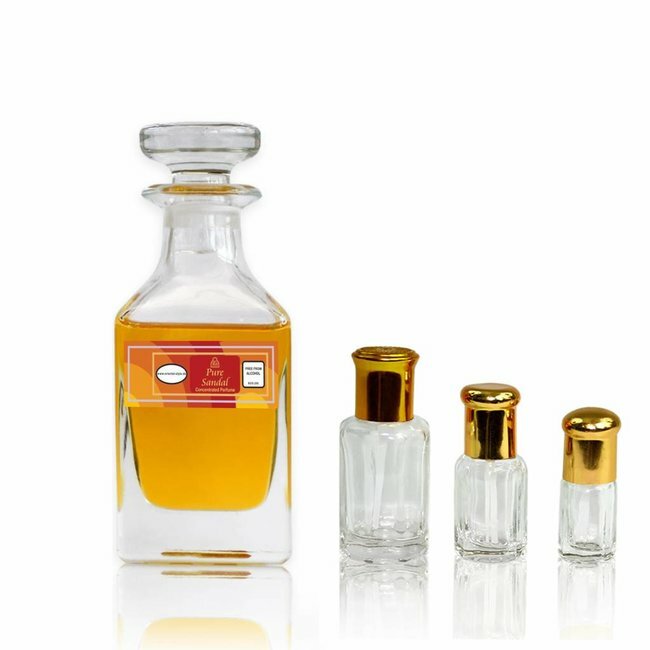 There are no medicinal or dark notes to be found here, as it is often the case with Oudh perfumes. 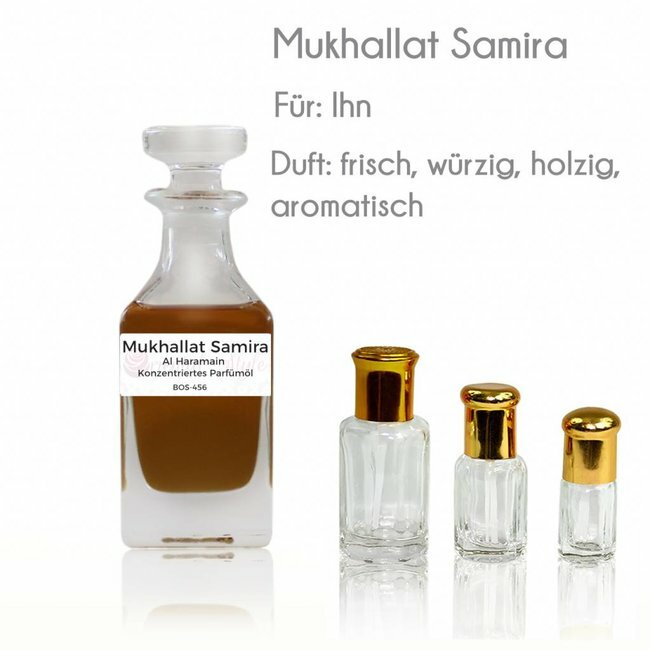 The base is fresh and spicy with pepper and cloves, with woody notes from the heart note still lingering around. 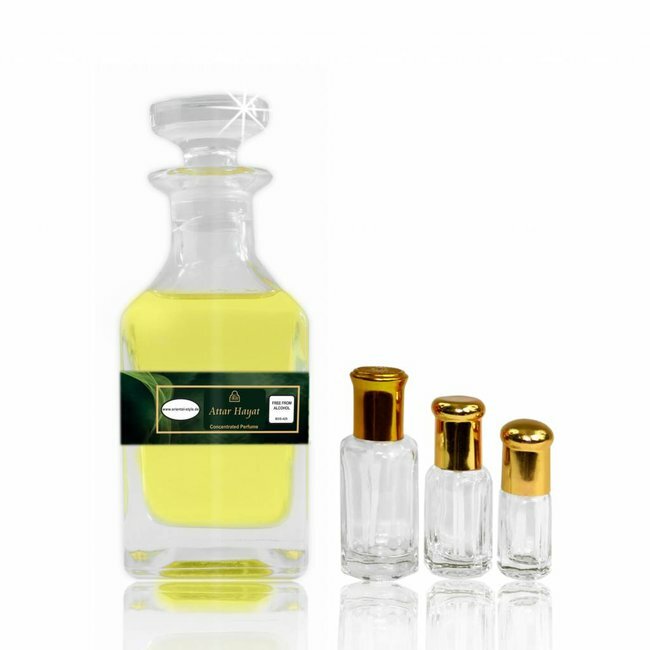 An exquisite oriental men's fragrance with a luxurious aura, ideal for going out or for the evening. Perfume oil Attar Hayat - Masculine, warm and spicy, cinnamo..
Perfume oil Sheikh by Al Haramain - Masculine, oriental, bal..
Perfume oil Pure Sandal by Al Haramain - Unisex, warm, orien..
Perfume oil Mukhallat Al Haramain by Al Haramain - Unisex, o..